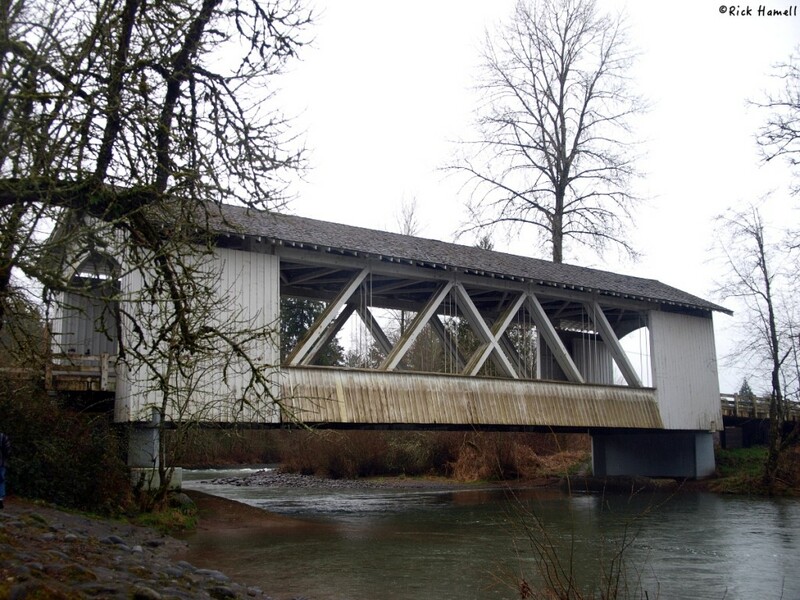 The Larwood Covered Bridge is in the distinct Linn County style. It is unclear to me if and when this happened, but previously two covered bridges spanned the river here. One spanned Roaring River, and another Crabtree park. I assume that they were in series and they were on the same road, as it’s reported they were only a few feet from each other. The current bridge was built at this location in 1939. It is of the Howe truss design and it’s World Guide number is 37-22-06#2. The bridge is still in use, but has a nice wayside park at it’s north end. This idyllic spot by the river looks to be a great swimming hole in the summer. One of the unique parts of this park is the ruins of an old watered powered mill. This is actually the rebuilt one, the first having been lost in a winter flood. 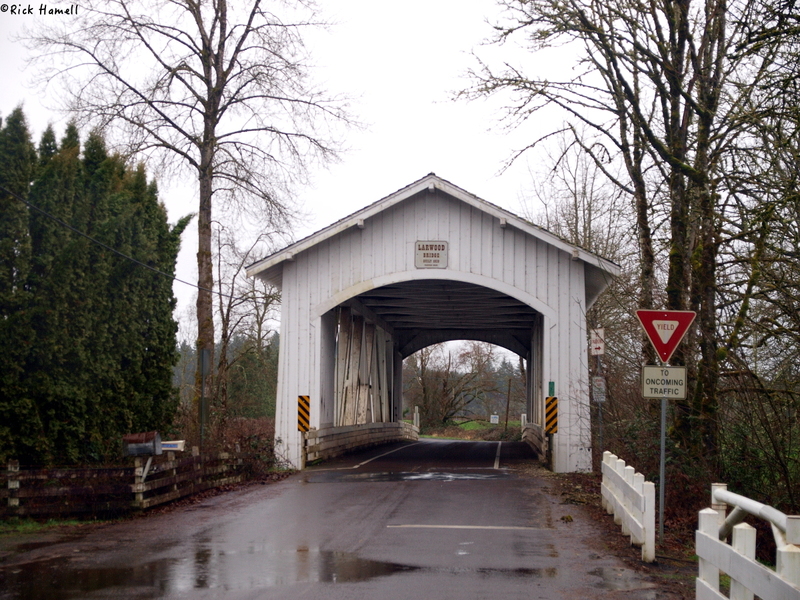 From Stayton, Oregon (be sure to visit the Stayton-Jordan Covered Bridge,) head south on N 1st Ave. Just after leaving town this becomes Stayton Scio Road. At 1.5 miles turn left onto Cole School Road. After 3 1/4 miles, turn right on Ridge Road and follow it down the hill. At the bottom of the hill the road becomes Richardson Gap Road. You will go through the Shimanek Covered Bridge, at 6 1/4 miles turn left on Fish Hatchery Dr. Bridge will be directly ahead after 3 miles with the Larwood wayside is on the left.